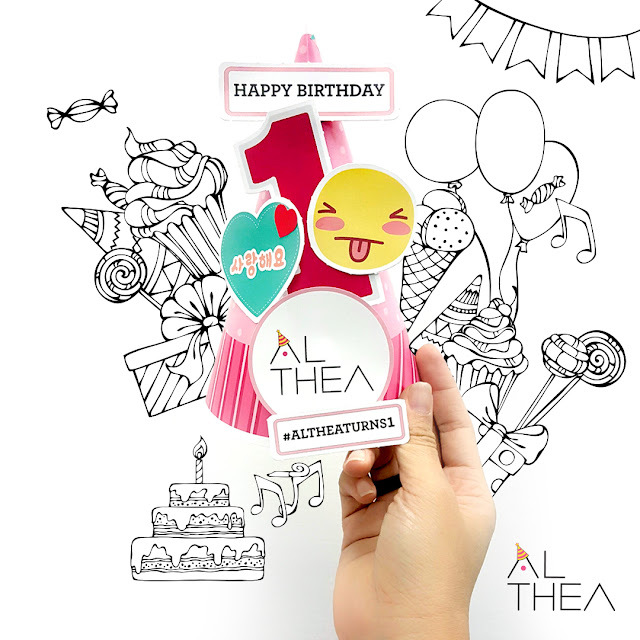 It is 20th July 2016, which marks the first anniversary for Althea! Wohoooo! 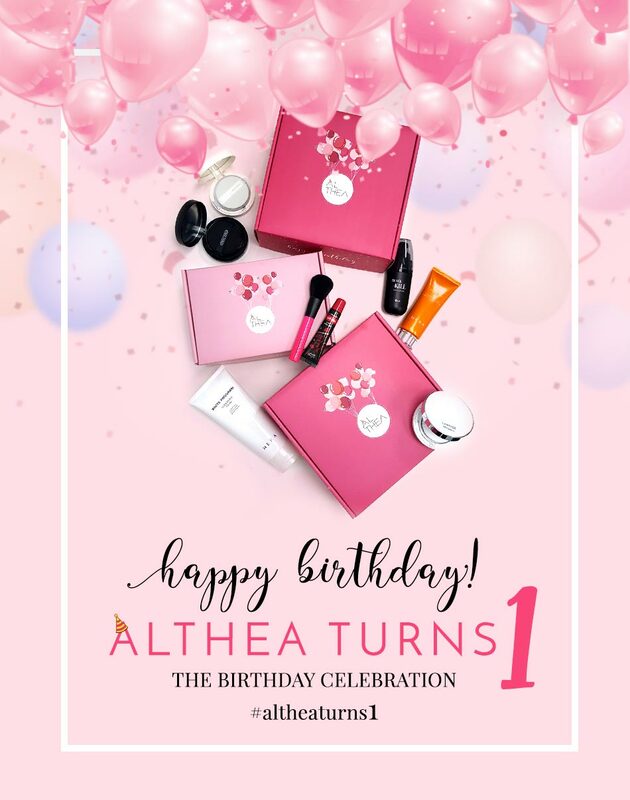 Oh you guys know how I love Althea so much ( And I am so not paid to say this) that I have bought a lot of korean beauty products especially skincare from them. 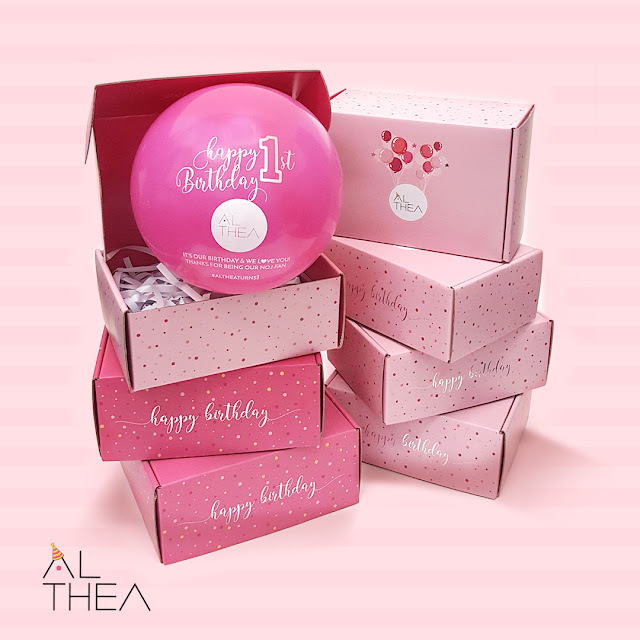 But, if you haven't actually heard about Althea, it is a wonderful shopping site that delivers korean beauty products straight from Korea to your doorstep! It is legit a site that offers the best prices compared to most of other famous K-beauty sites that we have here in Malaysia. And you know what makes me excited about Althea turning 1? More promotions and sales! So why not take this opportunity and get your korean beauty products that you've been eyeing on forever? And their products are 100% authentic so no worries! If you do not like what you have purchased, an unconditional 30 days return service is also available. Very nice right? And guess what? Althea decides to celebrate this wonderful month with us with even more exciting gifts and contest! If you are one of the first 1500 people to purchase from Althea, you are entitled to win a free full size product. Cool right? Just make sure you enter in the code ALTHEATURNS1 before checking out. Keep in mind that this is limited so be quick! 2. 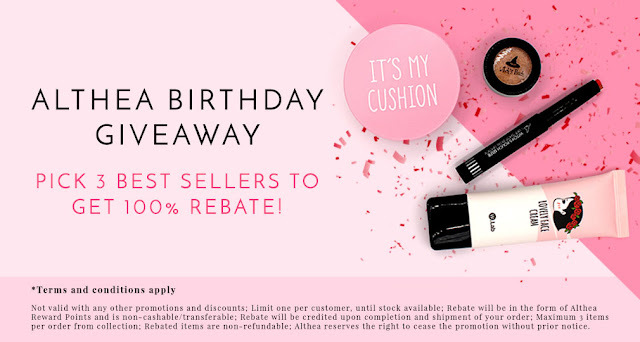 Pick Your 3 Top Sellers For 100% Rebate! Just choose 3 best sellers and full rebate will be credited into your account in the form of Althe Reward Points and you can use them for your next purchase! If you make your purchase 20/7/16 and onwards, you will get this very pretty box instead of the standard plain pink one and inside, you will also be getting a DIY party kit that will enable you to join Althea's instagram contest! Keep in mind that this is whilst stock lasts. This is the most exciting one! You can use the DIY Party Kit that you got in your box to decorate your own party hat and stand a chance to win exciting prizes! Just post up a selfie wearing the party hat that you had decorated and wish Althea a Happy Birthday with the hashtag #AltheaTurns1 on your instagram. Amazing prizes are waiting such as Macbook Air, Ipad Air 2, iPhone 6S, Galaxy S6 Edge, Canon EOS M10 Selfie Camera, Althea credits and beauty hampers from Althea! Not only that, there are also prizes total worth KRW10,000,000 to be won. This contest starts from 20/7/2016 until 15/8/2016. So here is my birthday shoutout to Althea! Happy Birthday Althea! Thank you for being awesome and keep doing what you're doing. Thanks to them, I've already received my own #AltheaTurns1 beauty and party kit. So what are you waiting for? Go and grab yours here now! To read on my #AltheaTurns1 package Haul and Review, click here. Hye Iman, this is Mira from Althea. We would like to thank you for joining in our online Birthday Party. We hope you had fun!